If you have a roof that needs essential repairs doing to it then call the Bristol based roofing company Multiform Roofing Ltd. Please feel free to contact us to find out more about our services. We have a long lasting solution! At Multiform Roofing, we are pleased to be able to offer Firestone EPDM for all of your flat roofing needs. Firestone EPDM is a single ply fitted in one piece with no joints or leaks and is proven to last 40 plus years. Our highly knowledgeable team have carried out multiple hours of research to find the best possible material for flat roofing, which will deliver the best end results and will last for a long duration of time. We’re so confident in the durability of Firestone EPDM that we provide a 20-year guarantee on all flat roofs that we install. That’s an extra 10 years on the standard 10-year insurance backed guarantee through Home Pro. Here at Multiform Roofing, each and every member of our team is trained to expert level at Flat Roofing. We highly pride ourselves on the quality of our workmanship and always make sure our customers are 100% satisfied with our services. Our highly trained roofers specialise in flat roofing of all types for commercial and residential projects. If you believe that you may require a flat roofing service, get a quote for free from us today. Our friendly team will be at hand to suggest the best service for your specific needs. To begin with, your roof is stripped and the underlying boards are checked, repaired and replaced. Next, a custom made panel of Firestone EPDM is then adhered to the prepared deck. Finally, attractive edge trims are then fitted to the perimeter of the roof. Firestone EPDM has unmatched resistance to ozone, UV radiation and high or low temperatures. It makes the material extremely difficult to be damaged. In Total, Firestone EPDM has a life expectancy of up to 50 years. Firestone EPDM are available in large pieces and therefore most roofs can be covered in one piece. 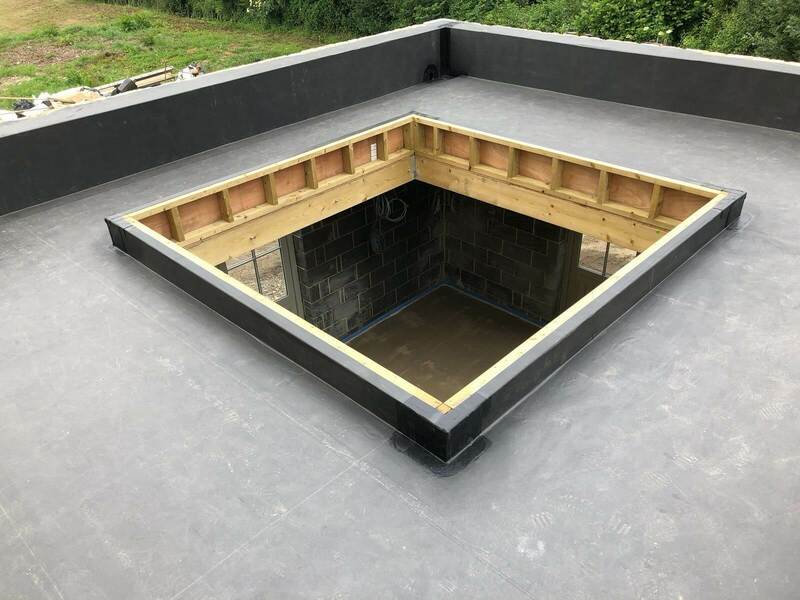 No matter the scale of your flat roofing project, we will be able to co-operate with your needs and get the job done as quickly and efficiently as possible. Firestone EPDM remains highly flexible even at low temperatures, enabling all year round insulation and can also elongate over 300%. Firestone EPDM is an inert material with limited environmental impact, both during manufacture and insulation and high durability compared to other roofing membranes. No specific maintenance is required for Firestone EPDM. This will prevent you from spending the money that you could potentially spend in the future on a felt flat roof. Sooner or later conventional felt flat roofs will leak, due to lack of flexibility, weathering and failing joints. Firestone EPDM is tough, attractive and hard wearing, it will never crack or split and is unaffected by weathering and has no joints.